Android Android Android its all Android all over the world. Just 5 years back who would have thought that this OS will create a revolution in portable devices and even leave PCs far behind. Android was already dominating the Smartphone world but now even tablet world is under siege. Tablet world. 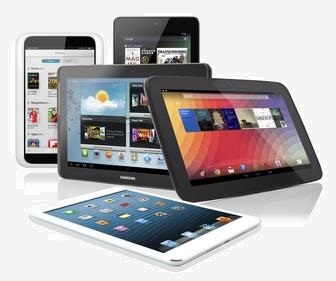 Over 52 million tablets were shipped this quarter compared to 36 million compared to same quarter last year. This has been a 41% increase QonQ. Considering dismal performance of the Microsoft Surface even after being full of promise and iPad mini's under performance which may have taken Apple by surprise. Clearly Google has left Apple and Microsoft far behind in this race. One of the primary reasons why Android has gained so much popularity are devices ranging from cheap to preminum catagory and tons of manufacturers trying to market the Android platform. Tons of free Apps and shrare volume of Apps getting added to the Play Store each day. Purist Argue that Android App quality is not great but who cares if they are for free and you can always throw them out if they are bad.